"That which we are, we are." 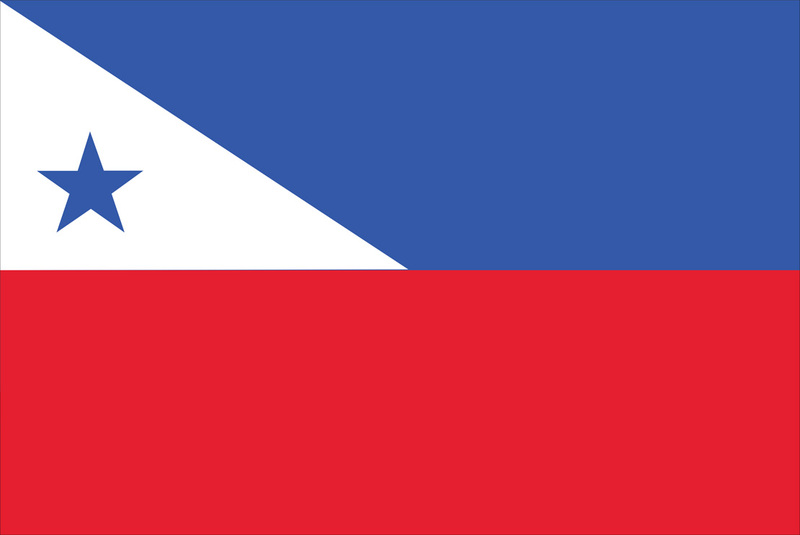 If there's one thing that just about everyone in the world of vexillology can agree on, it's that there are an awful lot of somewhat woeful and just plain boring state flags out there. One of my favorite podcasts, 99% Invisible did an episode focusing on just that topic- mainly with eye toward skewering municipal flags out there that are just as bad, if not worse. A lot of cities spent the last few years working on addressing the problem: Tulsa, Pocatello and although it's not quite official yet, Milwaukee are all trying to up their flag game. There have, however, been some noteworthy attempts redesigning all 50 states. The United We Stand Project from the Bressler Group was the first one I found. My original post about it was lost in The Unfortunate Wordpress Experiment, but when I dug it back up, I was pumped to find out that they had updated some of the flag designs from their original post! If there's one thing about the Bressler redesign that I both understand and dislike, it's their use of red-white-blue throughout their designs. I mean, I get it: the whole purpose of the project was to promote national unity and giving each flag a theme/unifying elements makes sense. That said, the landscape of America is a whole spectrum of colors and it would have been nice to see some of those reflected in their flag redesigns. They only redesigned twelve of their original flags: California, Delaware, Illinois, Maine, Minnesota, Nebraska, New Hampshire, Oklahoma, South Carolina and Utah. Here are three of my favorites. I know, I know... it's not the most striking redesign, but it works. 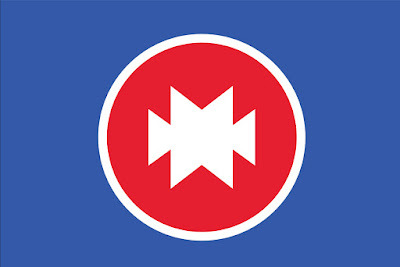 The red strip on the bottom stands for the Great Plains, the blue is the sky and the white triangle stands for it's hills. The more I look at it, the more I like it. Its remarkably representative of Nebraska's actual topography. It's all flat in the east/right and then starts to get some elevation on the west/left. "Oklahoma is based on the Choctaw words, 'Olka Humma,' which translate to 'red people.' The current flag has preserved the relationship between the Anglos and the Natives with an Osage shield crossed by a peace pipe and an olive branch. I wanted to preserve the idea of this relationship. This design is based on a Parfleche war shield. The points on the symbol represent some of the dominant tribes that live in Oklahoma- Cheyenne, Kiowa-Comanche-Apache, Chickasaw, Muskogee (Creek), Cherokee, Osage and Seminole"
Sometimes you just need to take it straight for the source material itself. 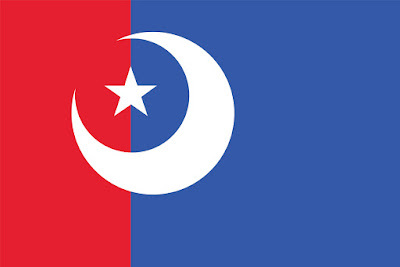 It lacks the Palmetto Tree on the current flag, but the crescent moon is taken directly from the 'Moultrie' or 'Liberty' Flag. There are direct historical connections to the current flag of South Carolina... the part that tickles me about this redesign is that if you didn't know what the current flag of South Carolina looked like, this one honestly would make you think that it was a redesign of say, Turkey's flag. Or the Ottoman Empire's flag. And for various reasons that tickles me greatly. I hope these redesigns keep coming and I hope some state, somewhere picks up one or two ideas and launches a redesign of their own. Remember, until next time, keep your flags flying- FREAK or otherwise! How Do We Fix It?